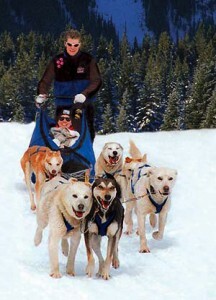 Dog sledding with Banff Travel Unlimted. 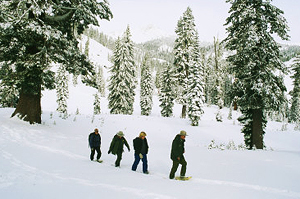 You name it: if you can do it in snow, we do it here! For those of us that live here in Western Canada and the Canadian Rockies, or those that like to visit us when the mercury drops — it’s the best time of year. If we didn’t like snow and winter sports, we’d be living somewhere else! The calendar says Old Man Winter doesn’t begin until December 21, but up here, the season really begins in November; that’s usually when we start getting our first real snow, the kind that sticks around and is good for skiing and playing outdoors (or snuggling up cozy-like in front of the fire). Up here the average temperature in the winter months, November to March, hovers around minus 12 degrees Celsius (that’s about 6 degrees Fahrenheit to you Yankees from south of the border). During December and January low temperatures of minus 30 degrees Celsius are not unheard of – but then this is the Rocky Mountains. But not to worry, it’s not really frigid down in Banff National Park during winter. This area and to the west and south enjoy the “chinook,” warm winds that can produce spring-like temperatures in a matter of hours. Sometimes the moderation even lasts for a few days or even a week or two. But not to long, fortunately, because we like playing outdoors here, and wintertime means snow and winter sports. While there is plenty of winter alpine activity right here in Lake Louise just an hour south in Banff there is even more to do. The park and this entire region of Alberta gets plenty of good snow for a nice long winter recreation season. And the chinook winds often bring even more precipitation – usually in the form of snow. Banff town sees an annual average snowfall of 235 centimeters during the winter months, while the higher elevations, including the best ski areas, get even more. Mount Norquay, for example, gets 300 centimeters of snowfall on average; Lake Louise gets 380 centimeters of snow; and Sunshine Village gets a whopping 1,005 centimeters of snow a year. So what can you do around here with all that snow? What can’t you do with all that snow on the mountains — that’s a better question. Of course draping the beautiful Canadian Rockies in white only heightens their alpine splendor – the days may get shorter, but the scenic wonder of the Rocky Mountains continue all year long. So even if you don’t own a pair of skis, a snowboard or snowshoes, you can still enjoy the rugged beauty of the mountains and enjoy the excellent accommodations, resorts and boutique hotels of Banff and Lake Louise. 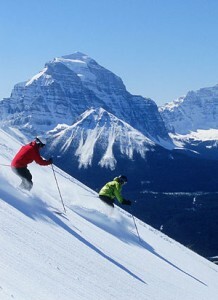 Ski Banff National Park’s 3 awesome ski resorts: Mount Norquay, The Lake Louise Ski Area and Sunshine Village. 8,000 acres of perfect powder, six months a year. Sure you could go mountaineering, and you could go skiing. Why not both? 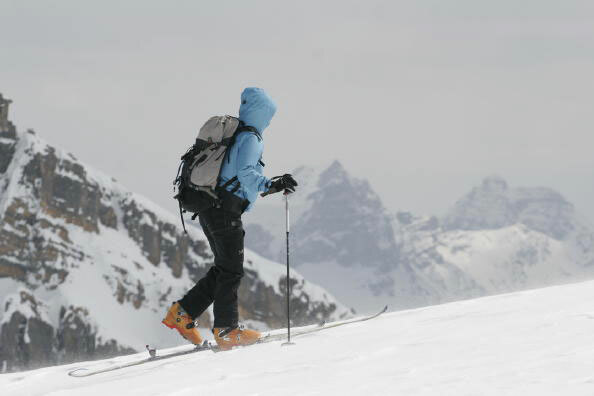 Here in Banff National Park and the Canadian Rockies, you can go Ski mountaineering. 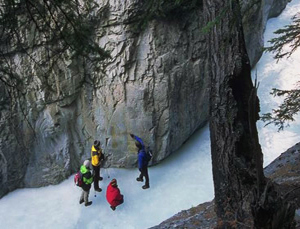 In summer there is rock climbing and mountaineering in Banff National Park and the Canadian Rockies. 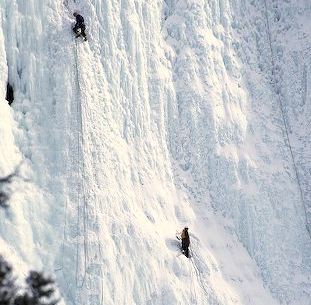 In winter it doesn’t stop, we just switch to ice climbing. 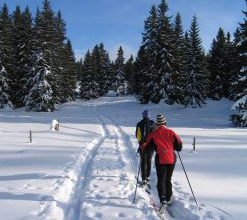 Track-set cross-country, groomed skate-skiing, untracked backcountry trails, telemark slopes, and ski mountaineering. Take your pick in Banff National Park. How to find fresh powder, long descents, steep slopes and old-growth forests in the Canadian Rockies? 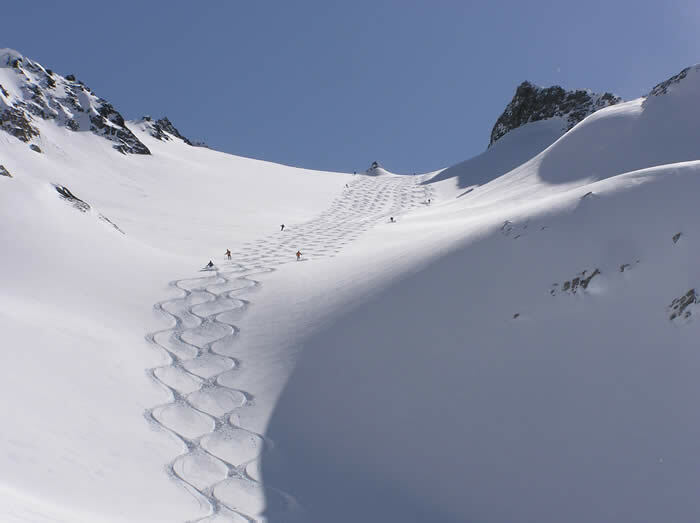 Take a heli-ski tour for awesome downhill skiing. 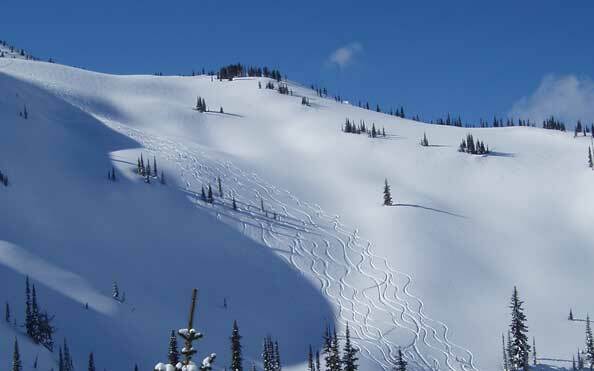 To be safe in the backcountry of Banff National Park and the Canadian Rockies, one needs to know avalanche safety, so sign up for an avalanche skills course.